WHAT IS INVOLVED IN AIR CONDITIONING INSTALLATION? Whether you need to replace an existing cooling system or you have never had an AC unit and now is the time, it’s essential to find an experienced installer. Harmony Heating and Air Conditioning is proud to be your Calgary air conditioning experts. Although heating needs tend to take center stage in our climate, more and more residents are enjoying the benefits of air conditioning in Calgary too. When you need air conditioner replacement and installation, call Harmony. Our highly-trained technicians are the best air conditioner installers around. Regardless of the size, age, or configuration of your home or business, we have an air conditioning system that will work for you. What Are My Cooling System Options? This type of unit is the most common AC option. It acts like a big refrigerator for your house, cooling the air and pushing it through ducts and vents to lower the temperature of the home. It uses a furnace or air handler to blow the hot air outside through a condenser/compressor unit. Central air conditioning installation is the preferred choice for most residents and business owners. For multi-unit residences, small spaces, and homes without ductwork, a ductless mini split is a great option. In this system, the indoor portion of the cooling unit is in the room it needs to cool. Rather than working through a central air handler or furnace, the mini split works directly in the space, eliminating the need for ductwork and vents. Because of this limitation, ductless mini splits are best for small areas or multi-unit buildings. In bigger homes without ductwork, installers can place mini splits in several rooms to provide more widespread cooling. Another option for buildings without ductwork is a fan coil unit (FCU). This type of system moves air over a coil that either heats or cools the air and then a fan pushes the air into the room. Typically, the FCU can be freestanding or can mount on the ceiling or wall. How Do I Find Excellent Air Conditioner Installation in Calgary? Step One: Call Harmony Heating and Air Conditioning. Done! In all seriousness, though, it is important to do your research before settling on an HVAC contractor. We are not all created equal, as some unfortunate consumers have found. A professional, high-quality installer will not give you a quote over the phone without seeing your space in person. If an HVAC company does that, politely hang up and try again somewhere else. Unless a technician comes to your property, they cannot possibly give you an accurate estimate of the cost for your air conditioner replacement and installation. Many factors go into a fair estimate for a residential or commercial facility. The company you choose should come out to your home or business to give you accurate information. And be sure to get the estimate in writing, with all caveats and restrictions clearly explained. Ask the air conditioning installation contractor if they have proper licensing. This is not a project that you want to trust to a Jack-of-all-trades with a sticker on his van. You want a licensed installer to do this project for you correctly. Many companies that claim to employ contractors are really operating without any credentials. Beware of a company that immediately says they will replace your old unit with the same thing. Since central AC units have a lifespan of 10-15 years, you can be sure there are newer, more energy efficient models available. If a contractor is pushing the same thing you originally had, they may be trying to dump old inventory. Ask about the technician’s knowledge and training. They should have plenty of experience that is specific to HVAC. Do your research and check out reviews and references to be sure your installer has the qualifications to do the job right the first time. 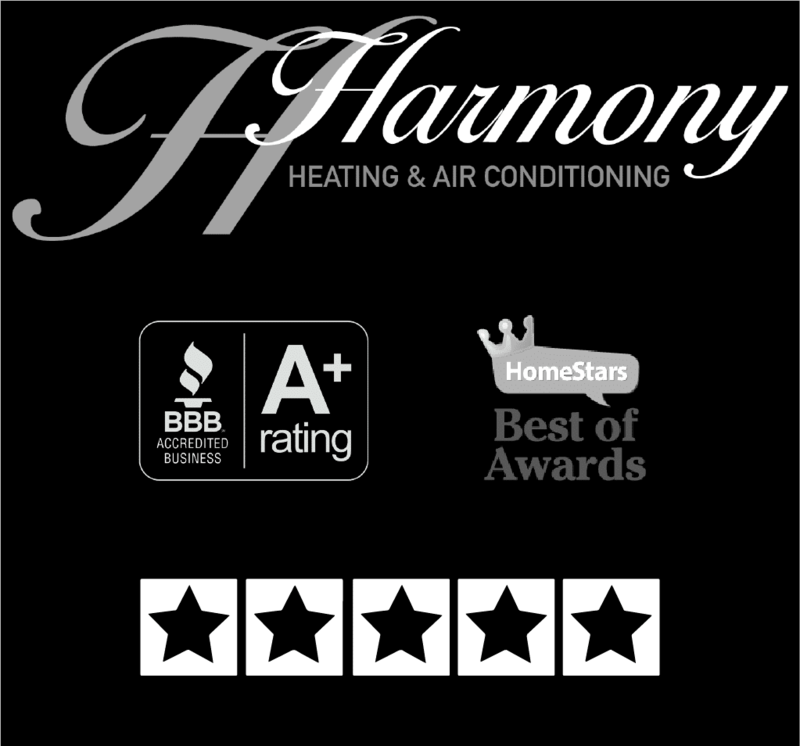 Harmony Will Meet and Exceed Your Expectations At Harmony Heating and Air Conditioning, we take our job seriously. We live and work in Calgary and strive to provide our neighbors and community with excellent service. We aren’t happy unless you are happy. We have the experience and expertise to handle any air conditioner replacement or installation job you have at your home or business. Our friendly crew is professional and reliable and looks forward to serving you. Contact us today to find out why we are the premier company for air conditioning installation in Calgary.